SATuRN annual workshop run in partnership with AWACC (UKZN, NDoH & Harvard). In total 346 participants attended the two days workshop. The workshop discussions were also very good. Here, we summarize the Tweeter coverage of the event, which contains information on the topics discussed and questions raised. 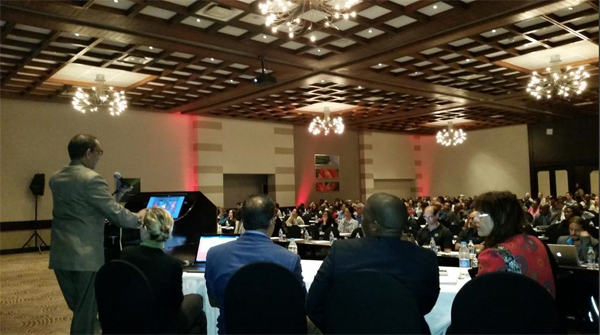 The workshop was presented at Elangeni Hotel, Durban, 9-10 Oct 2014. Please follow SATuRN & Bioafrica Twitter to recieve the tweets in real time! #AWACC_AIDS , doctors should prescribe drugs and advocate for the patients to have the drugs available. #AWACC_AIDS , more than 8 weeks to access MDR TB Rx. Any concern? #AWACC_AIDS will starting ARV at a CD4 of 500 , will it not encourage early HIV testing and increase average baseline CD4? #AWACC_AIDS, do medical schemes cover Ral as PEP? #AWACC_AIDS What dose of iron do you recommend for iron deficiency anaemia? @AWACC_AIDS What's the relationship between metformin, diabetes, tenofovir, and renal impairment? @AWACC_AIDS Has 3 monthly refills helped or hindered? @AWACC_AIDS DVT, HIV & Warfarin: Ideally frequent monitoring than in HIV negative & warfarin dosing calculator (app) help prevent Yo-Yo INR! @AWACC_AIDS why the combination of NNRTIs and NRTIs only as the first line regimen instead of NNRTIs, NRTIs and PIs? @AWACC_AIDS , Prof Dungu: Doesn't treatment interruption increase the risk of resistance? @AWACC_AIDS can these elite controllers be the future source of HIV vaccine development? #AWACC_AIDS Ernest study suggests no need for first line arv failure genotype test. Will clinicians society amend guide lines? #AWACC_AIDS, Prof Moosa please be flexible on Raltegravir : scenario of renal failure! #AWACC_AIDS, 2nd of T/3tc/Aluvia, what if renal impairment not resolved? #AWACC_AIDS, would you support the practice of obtaining a VL with naive HAART pts with high CD4? #AWACC_AIDS why do elite controllers drop CD4 count. #AWACC_AIDS, would you initiate TDF on a patient with a resolved AKI, normal Cr Cl but slightly elevated creatinine ~ 109 mmol/ l ? First question, which Greek God has his liver torn by an eagle????? Where will Prof. Cacala take us? #AWACC_AIDS, tweet your answers! AWACC Conference finally here, please make sure to follow us on twitter on #AWACC_AIDS, post your questions as they come to mind.